Sean McCord speaks with Marcus Mizelle, the director of Actor for Hire, which screened on Friday at the Violet Crown. 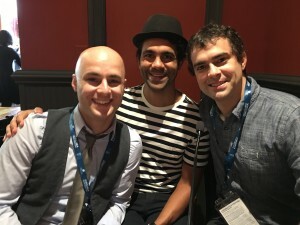 This was the 21st stop for the film on the festival circuit and Mizelle and actors Jesse O’Neill and Jandres Burgos talked about the challenges and excitement that comes with bringing an idea to life and sharing it with the world. The film started off as a web series that became a feature film.